American pharma firm Pfizer have lost in the final round of a protracted court battle over the patent on epilepsy drug Lyrica, after Britain’s highest court ruled against the company, in a case surrounding the $5 billion a year drug. While Pfizer had sought a secondary patent on multibillion dollar drug Lyrica as a treatment for neuropathic pain, Britain’s highest court has ruled that the secondary patent was invalid. The decision thus opens the way for generic drugmakers, such as Mylan and Allergan, to create copies of Pfizer’s drug. Although originally developed as a treatment for epilepsy, the market for Lyrica as a treatment for neuropathic pain soon took a leading role. 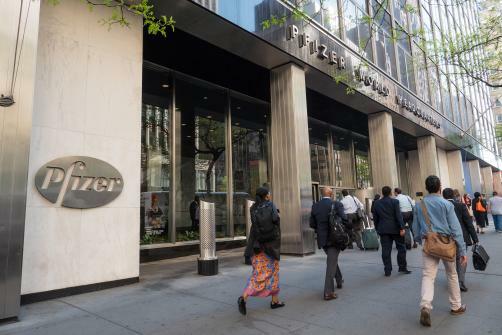 The court’s decision now leaves the New York-based pharma giant open to financial claims from the NHS, who may try to recover costs associated with overpayments on Pfizer’s more expensive, branded drug. “This is an enormous blow to Pfizer. They face claims running potentially into hundreds of millions of pounds if the NHS seeks to recover the excess costs,” said Darren Smyth, partner at law firm EIP.